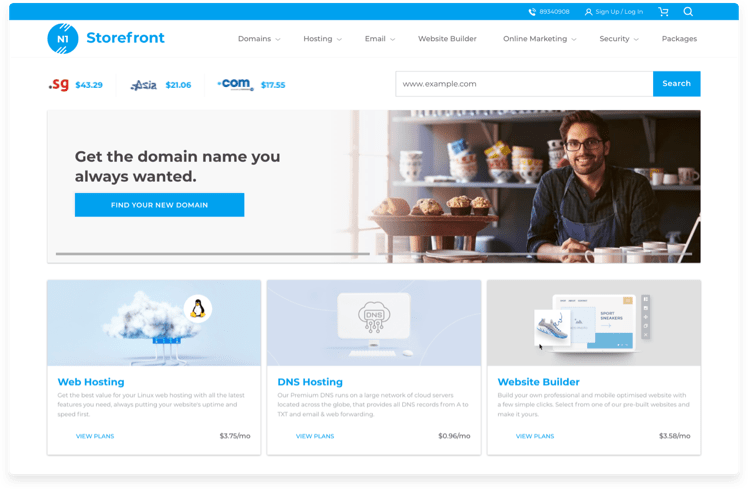 Start your own online business and sell domain names, web hosting, websites, and more with your own plug-n-play storefront. Our web hosting and domain names reseller storefront is an all-in-one solution that will allow you to be a reseller instantly. Customise your storefront, set your pricing and net your profits. You can choose to resell web hosting, domain names or other industry-leading products. The reseller storefront is a complete ecommerce site with payment processing offering Vodien products and services under your own branding. Also comes with a control panel to manage your orders and customers. Making sure you have all the tools you need to operate a successful business. Vodien is a certified ICANN accredited registrar connected with the top level domain registries. Vodien will continue to expand on the collection registries and new domain extensions, ensuring you always have the latest and greatest to sell. You get wholesale pricing across all domains and web hosting services and products.